For most Harry Potter fans, Hogwarts headmaster Albus Dumbledore was always a little bit of a mystery. 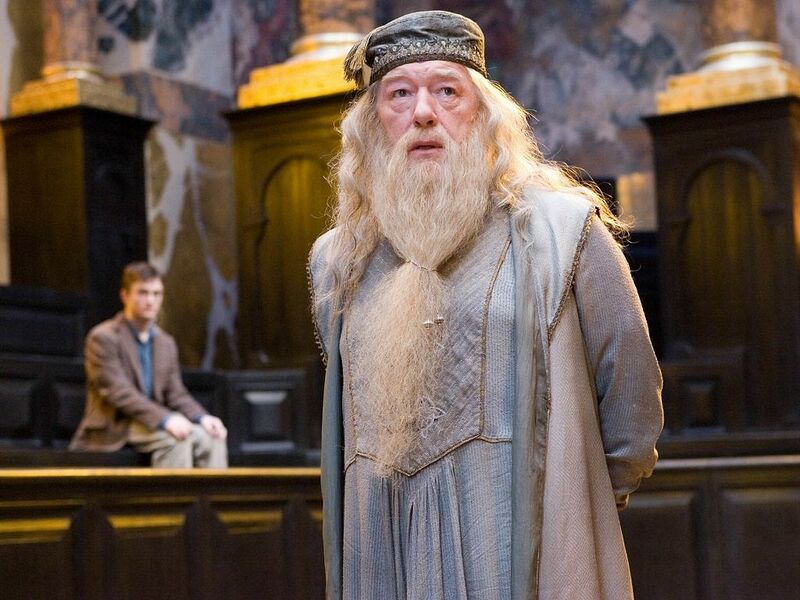 He was Harry’s mentor and most trusted teacher, but it wasn’t until he died at the end of Harry Potter and the Half-Blood Prince, that Harry realizes exactly how little he knew about Dumbledore. Harry Potter and the Deathly Hallows introduces Harry to the life of Dumbledore he didn’t know existed. Despite knowing that Dumbledore had famously defeated the evil Gellert Grindelwald, Harry learns that Dumbledore and Grindelwald were once boyhood friends and confidants. With the latest Harry Potter film, Fantastic Beasts and Where to Find Them centering on Grindelwald’s destruction of New York City, and a young Dumbledore set to appear in later installments, it’s time to revisit the real relationship between the two former friends. "My truthful answer to you . . . I always thought of Dumbledore as gay . . . Dumbledore fell in love with Grindelwald, and that added to his horror when Grindelwald showed himself to be what he was. To an extent, do we say it excused Dumbledore a little more because falling in love can blind us to an extent? But, he met someone as brilliant as he was, and rather like Bellatrix he was very drawn to this brilliant person, and horribly, terribly let down by him. Yeah, that's how I always saw Dumbledore." For most Harry Potter fans, this isn’t ~quite~ a shock but it’s an important reminder to the intricacies of life. In The Deathly Hallows, Harry is shocked and almost betrayed by the revelation that his mentor was once close with someone as horrible as Grindelwald, but their relationship says a lot about the people they were. As boys, they dabbled with the idea of having great power. And while Grindelwald’s quest for power made him a monster, Dumbledore’s realization that too much power is a dangerous thing, kept him from ever pursuing powerful positions like Minister of Magic. With future Fantastic Beasts films (probably) exploring Grindelwald’s rise and fall from power through the eyes of Newt Scamander, the relationship between Dumbledore and Grindelwald is more important now than ever. Harry Potter is all about love overcoming the quest for power, so we’re very interested in seeing how Dumbledore and Grindelwald come face-to-face in the future of Fantastic Beasts.